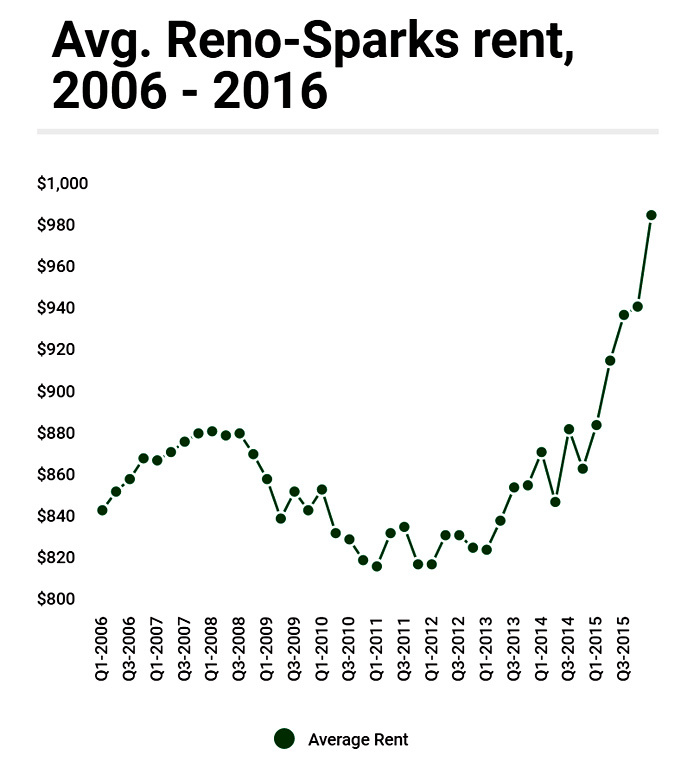 The Average rent for an apartment in Reno-Sparks is the highest in history! The data comes from a survey of apartment managers. 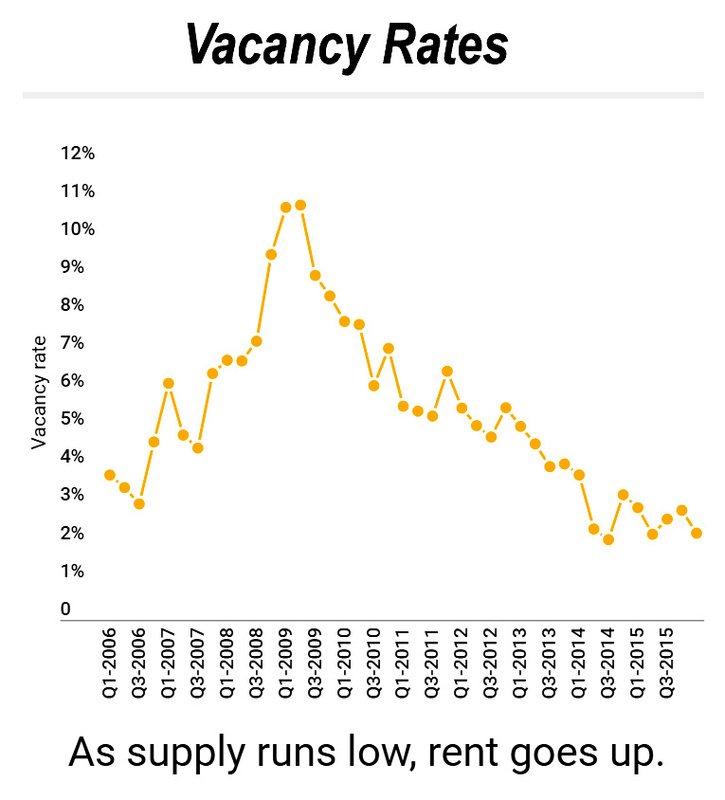 The high rental prices are driven primarily by growth and lack of available units, which are also the lowest ever. Reports show rent will continue to rise in 2016 until more apartments buildings and complexes open next year. 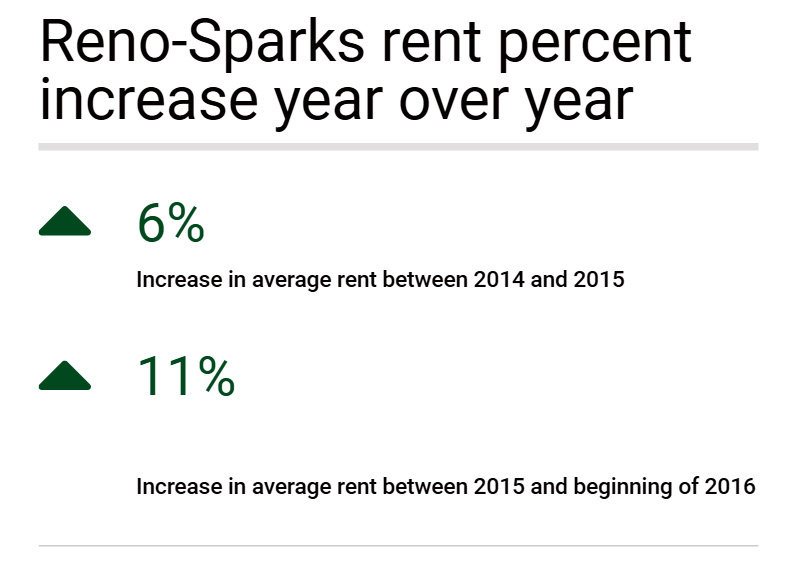 Johnson Perkins Griffin Real Estate Appraisers and Consultants released a comprehensive report on apartments in Reno-Sparks showing 2016 rent prices by neighborhoods and apartment size. They also released prices going back 10 years to show comparison. The data comes from a survey of apartment managers with 80 or more units and does not include property owners with less units, affordable housing, student or senior housing. But with more than 20,000 units surveyed, JPGNV believes their numbers are representative of the region. These charts shows the correlation between average rent and low supply. It is a good time to be a landlord in this area!